Close to 20 different varieties of apples are grown on 16,000 acres in Ontario. 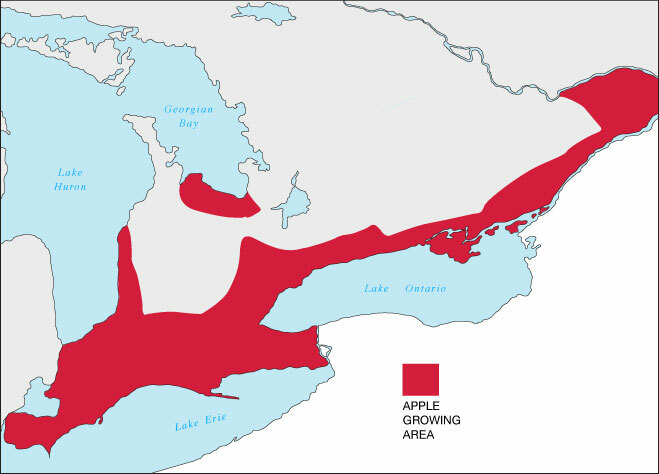 The province’s major apple-producing areas in Ontario are spread along the shores of Lake Ontario, Lake Erie, Lake Huron and Georgian Bay. These large, deep bodies of water help moderate temperatures, which makes Ontario an ideal place to grow apples!